Yes the fronts are close but just will not allow access (see below). The rear chassis bolts are completely hidden by the sliders. I would try to use a small, sharp chisel and try working horizontally from the front. 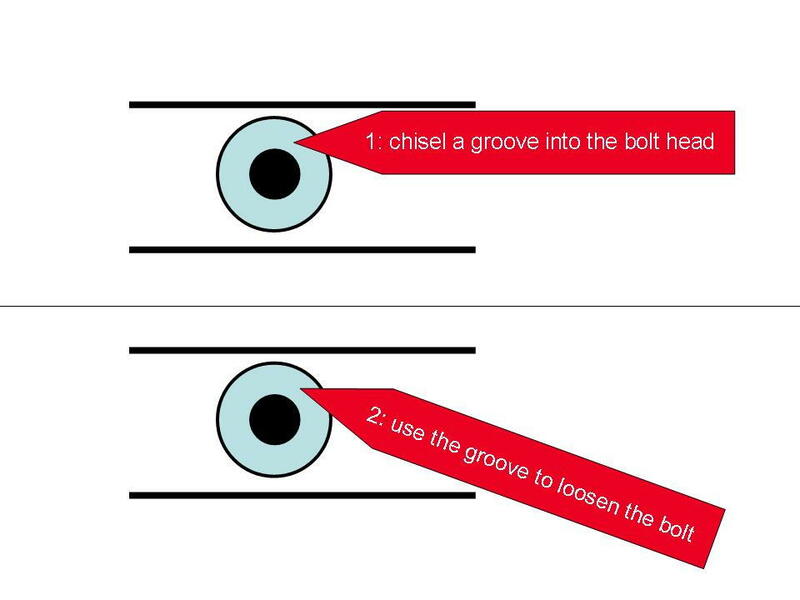 second loosen the bolt using this groove. Thanks for the guidance, this is unfortunately looking like the only option. 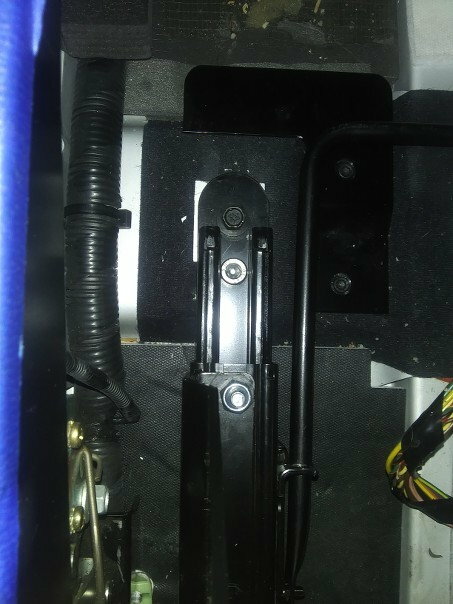 I’m going to wait for the seat manufacture to send me the other bits needed to correctly install my drivers seat, and get that installed first. I am then going to take the car to a race shop near my house to see if they have any ideas in person before I undertake your suggested approach. Thanks! Have you considered drilling access holes thru the seat pan? Drilling through the seat itself would be the absolute last resort! I’m going to take it by a race shop and a high end body shop I know well before that happens to see what ideas they have. They put some pretty big holes in them Thinking ahead - what would "1 holes properly located do for you? 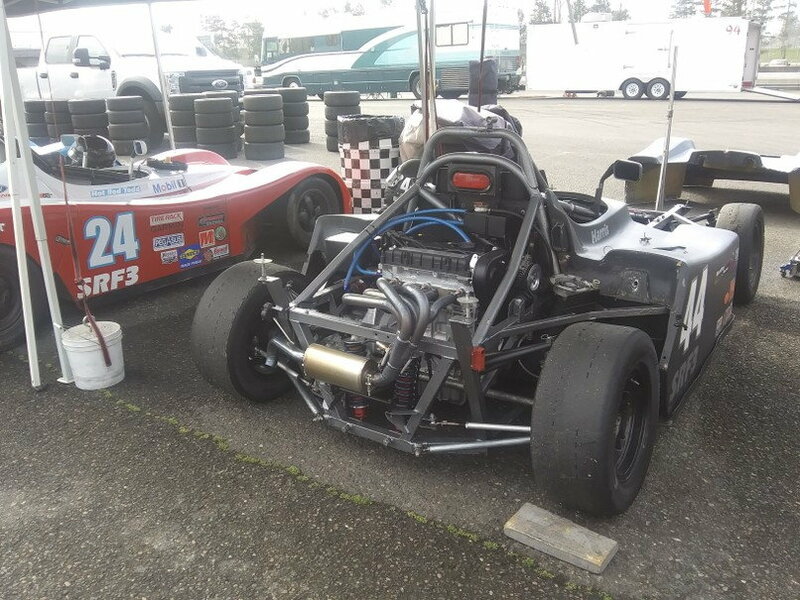 Your picture of the Spec Racer Ford brought back many memories of my own SCCA racing days with a (then) Sports Renault. (This was in 1985-1987.) These cars are great to race, and I learned a lot about suspension alignment in the process. My major claim to fame was beating Dorsey Schroeder 1 time out of 2 and Robbie Buhl 2 times out of 3. Dorsey later went on to become the Trans Am champion, and Robbie ultimately raced in Indy Car for a number of years, nearly winning the Indy 500 one year. Compared to the Vantage, a Spec Racer is all about maintaining momentum. They don't have the horsepower to make up for a subpar corner exit speed. They also need an optimal amount of trail-braking into the corners, but that's true of most types of cars on-track. Your fabrication work on both of your cars is most impressive. Good luck with the cars' development! Very true Cliff, but the bolts are straight beneah the side bolsters if you wanted to get at it straight on. We spent several hours measuring stuff today and we finally isolated where our error is coming from. I measured the seat bucket with a large caliper and the bucket width was consistent within .040 so clearly there is no error there. 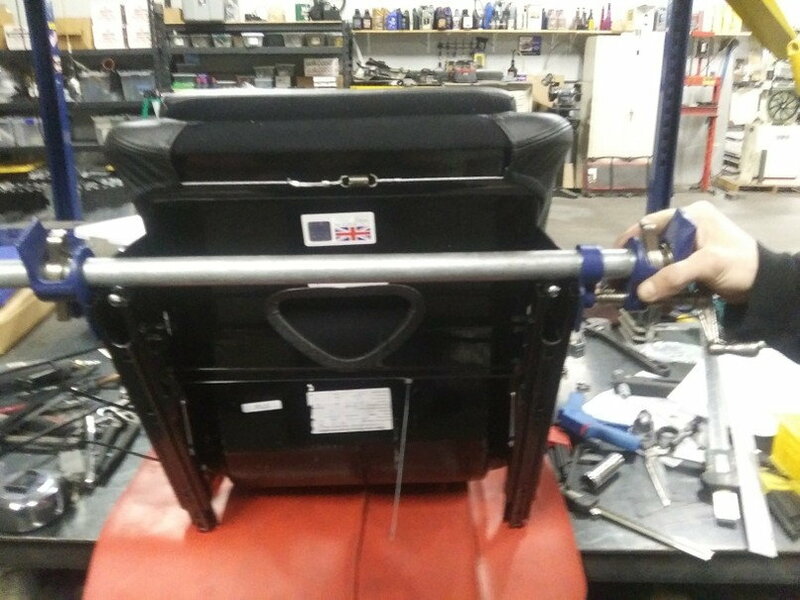 We bolted the frame assembly into the car and then lowered the seat into the frame and there was a large gap between the frame and the seat. 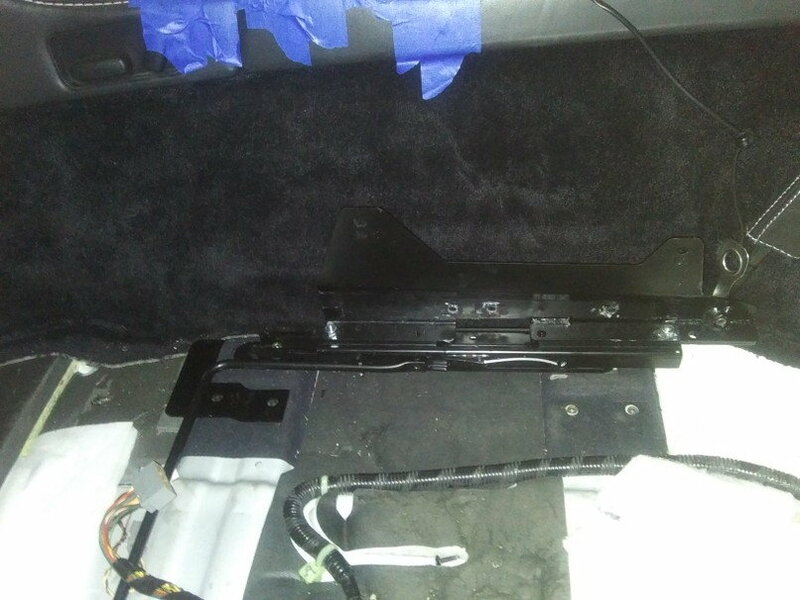 We removed the frame from the car and measured the distance between the chassis inserts side to side. Then we remounted the frame to the seat and checked the distances between the mounting holes (on the bench) and wa --lah the error comes from the bends in the seat frames. As Eric found out the end of the slider needs too be radius-ed to allow the flanged OEM bolt to clear. The shiny cap bolt is an M8 matching the OEM thread. 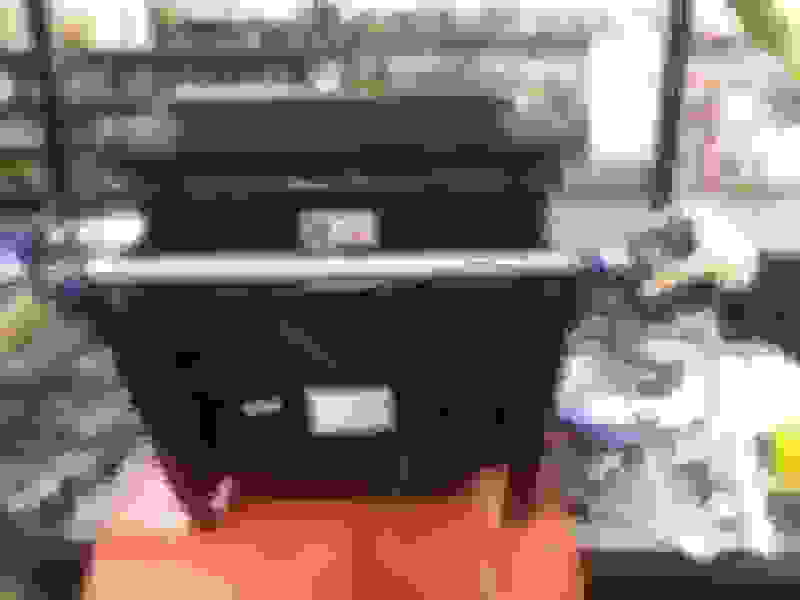 It accepts a 6mm hex key. Once we got it reassembled and measured the rear mounting holes were of the correct width, but the fronts were to wide. We used a clamp and squeezed the rails together until the correct measurement was achieved. This took very little force. We used zip ties to hold the rails at the right distance. We then put the chair back in the car and tried to bolt it in which was our most successful attempt yet. We were able to get 5 of the 6 bolts fully threaded. We need to open the slider holes in the risers to match the diameter of the holes in the sliders. 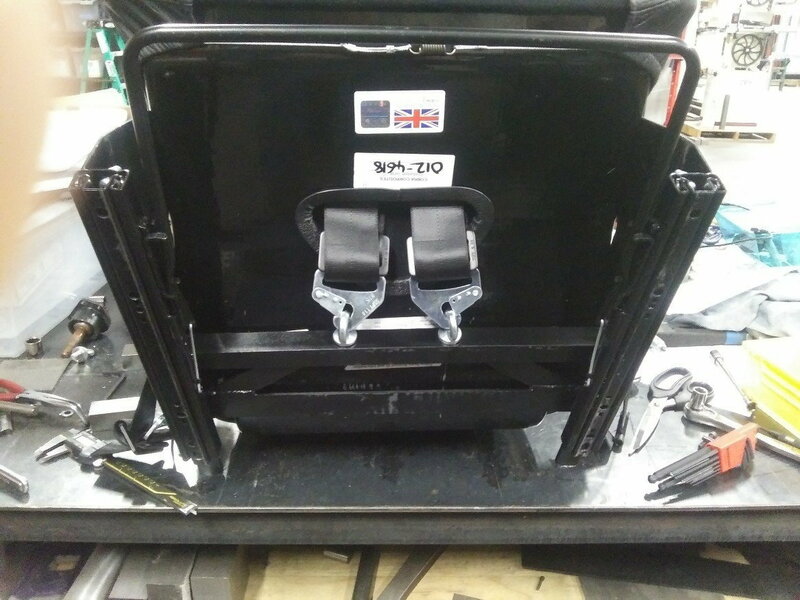 Another problem is not having the slider fully positioned and clamped when we put the seat in so we are drilling new holes in the middle of the risers so that we can have the slides centered and fully clamped to the riser when we put the seat in the car. Here is a picture with the seat installed. 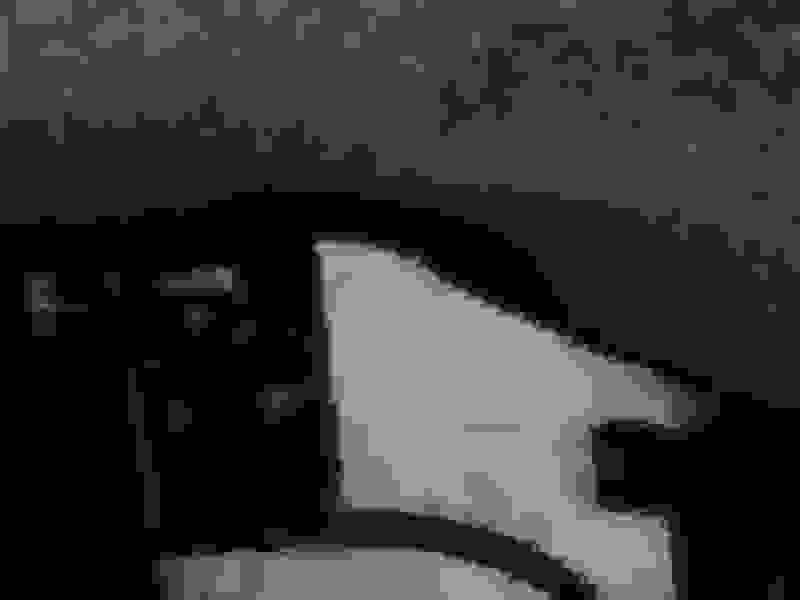 The seat is in the most forward position. I don't have a picture of the front, but it is similar clearance. The two front bolts are very accessible so I am confused why Eric is experiencing the trouble he is. If we had to grind out the slider bolt there is room to do it. Once we finally get the thing bolted in we are going to fabricate spreaders to hold the mounting holes at the proper distances on the bench. Then we will fabricate a new submarine sub-frame to accommodate that dimension. Yea - not perfect for sure. Can you get a small angle grinder in there and grind that head off? I am baffled why you have no working room. (Turn on light bulb) - your frame (chair) is lower - duh!!! Damn - what a bummer. Exactly right, no worries Cliff. 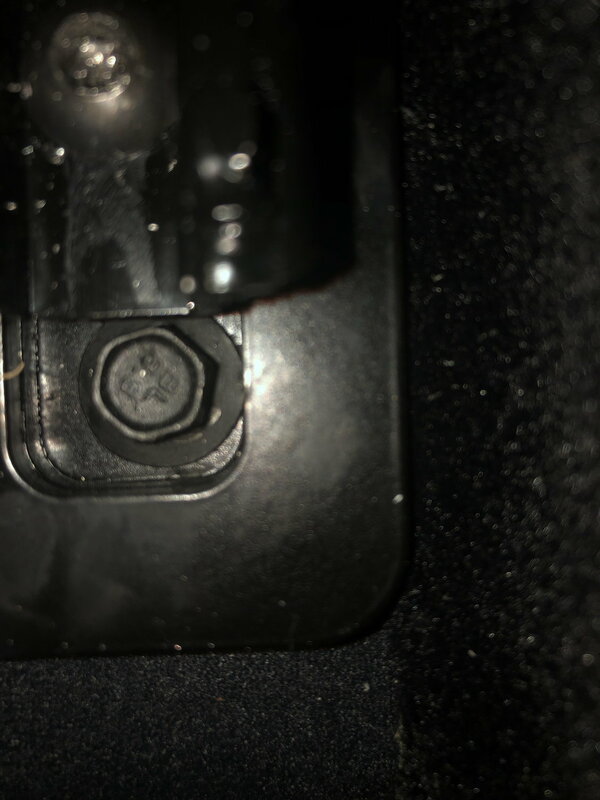 To give you an idea just how low.....the bottom of the seat in the rear on its lowest setting with the ultra low side mounts is literally 1-2cm above the adapter place. It is LOW! 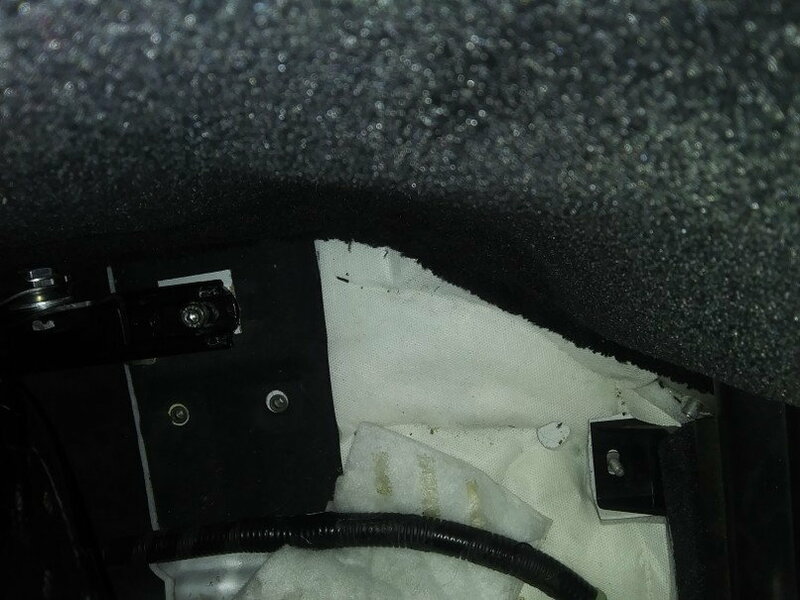 1) Slide seat forward and remove 2 bolts that attach sliders to the seat from underneath. 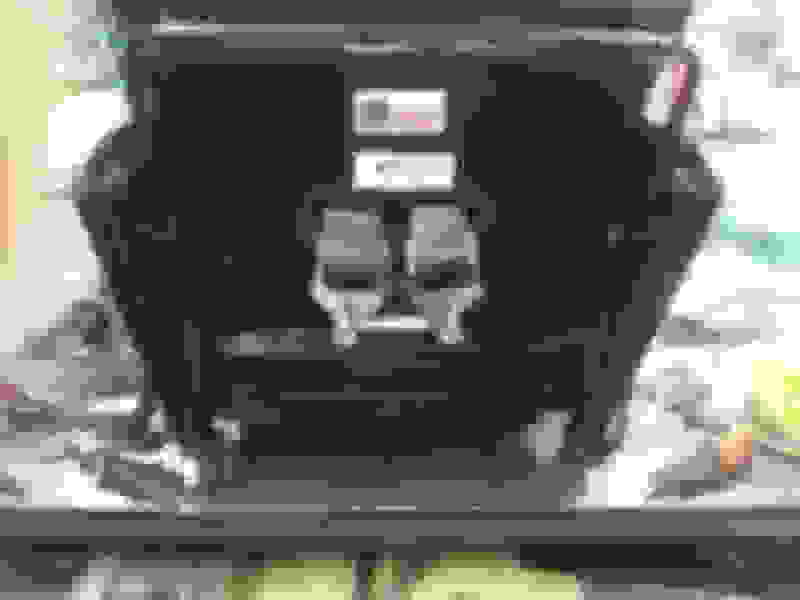 Slide seat backwards and remove bolts that connect sliders to the seat in the rear. This will be extremely tight given how low my seat is, but his technician ensures it can be done. 2) Remove 2 side bolts between side mounts and seat. Loosen side bolt in rear that is accessible (door side) and then tilt the seat back carefully to allow access to the front. Last edited by DetomasoGTS74; 04-16-2019 at 09:44 AM.